If your phone crashes unexpectedly, or worse gets lost or stolen, then you'll end up losing all your phone contacts and other important data. It's time-consuming to collect those phone numbers again. So to be on the safe side, you should keep all your contacts in a safe place and the best way to do this is to backup them on your Google account. Once they are online, you can access them from anywhere on any device. 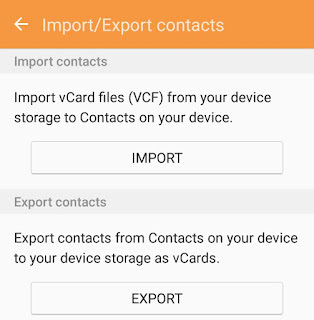 You can also export your Google contacts into a VCF or vCard file which you can save to your local storage device or import to other applications later. For example, if you want to transfer your contacts to the new device, you can import VCF file in the phone book app. Now let's discuss how to backup your Google contacts and export them into a VCF or vCard file. Go to the older version of Google Contacts. Now select the specific contacts you want to export. 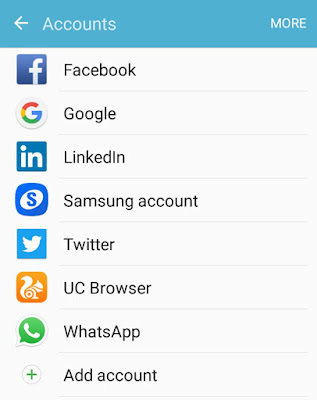 You can browse through various groups of contacts using the menu on the left side. 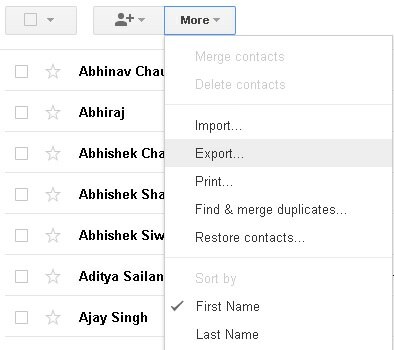 If you want to export all your contacts, skip this step. After this, tap the "More" button at the top of the contact list. From the drop down menu, click "Export" option. Now select the contact you want to export. Selected contacts will export all specific contacts you have selected in 2nd step. My contacts group will export contacts you have created. 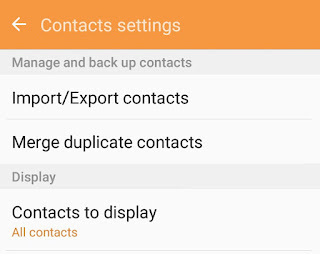 All contacts option will export all your Google contacts including those who you have mailed. Now select the export file format. Google CSV format for importing into a Google account. Outlook CSV format for importing into Outlook or another application. vCard (or VCF) format for importing into phone book and other applications. Once you have selected the file format, click "Export" button and download the file. 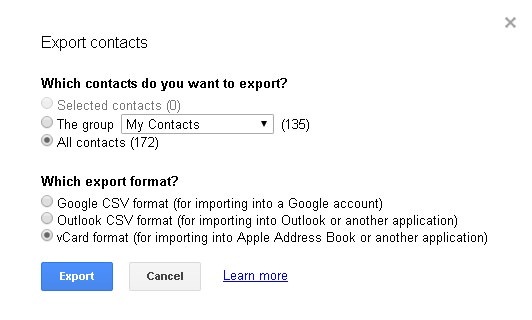 First, make sure that you're logged into the right Google account from which you want to export the contacts. You can manage your accounts from Settings > Accounts > Google. Now open Contacts or Phone Book app and go to Settings > Import/Export. Tap the "Export" button and select the location where you want to save the backup. 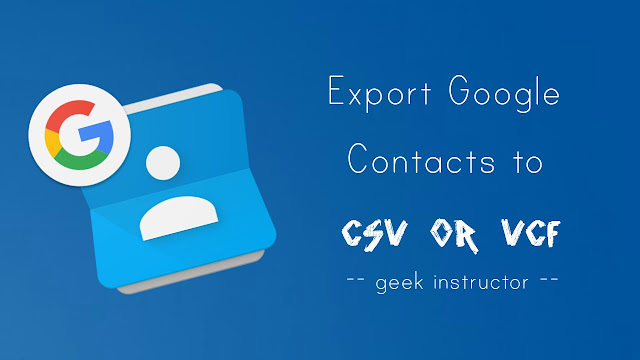 So this is how you can export your Google Contacts into a CSV or vCard file. You can import these files to other devices, Google account, Outlook, iPhone or elsewhere. If you want to ask something about this tutorial, feel free to share it in the comments below.